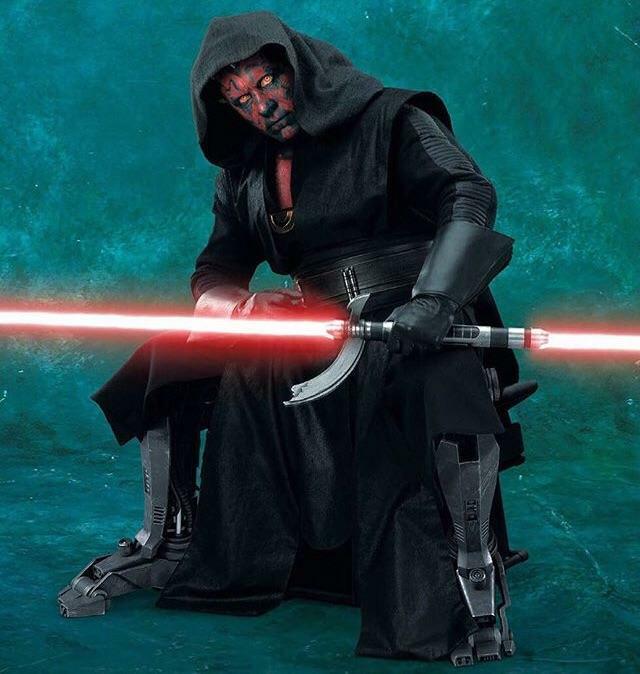 The idea that Ray Park would be reprising his role as Maul in Solo: A Star Wars Story is the sort of eccentric theory that would’ve got you laughed off the fan forums prior to the film’s release, and yet there he was, in all his red-and-black glory in a last-minute twist. It’s a moment that would’ve seemed particularly surprising to those unaware of the villain’s journey since getting sliced in half in The Phantom Menace, with the character subsequently making a return in the Star Wars: The Clone Wars animated show. But for any filmgoer who needs a little catching up, this recently surfaced photo gives us a pretty good look at the robot legs that Maul got in the aftermath of his fight with Obi-Wan. Park is looking very Sith-like with his trademark double-bladed lightsaber, and now that Lucasfilm has gone to the effort of bringing back the guy, it would be a shame to see his return relegated to a single blurry hologram in a flop film. The actor himself claims to have “a lot of great ideas” for what could be done with the Maul, and while the chances of a Solo sequel are looking slim, the demand is surely there for further appearances from the fan favorite. As it stands, the commercially underwhelming Solo: A Star Wars Story seems to have got more projects cancelled than it’s helped spawn, with the previously planned Boba Fett movie confirmed dead (incidentally, there goes Park’s suggestion of a Fett and Maul team-up movie). Still, with Lucasfilm continuing to explore new chapters in Star Wars history with its upcoming TV shows, we certainly can’t rule out Maul having some live-action life in him yet, be it on screens big or small.